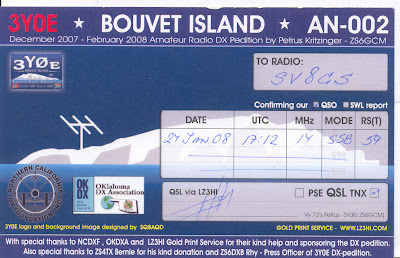 Many thanks also to Petrus for his nice operation from this isolated and very cold island. Excelent job also from the pilot stations and the every day updates in the web page of 3Y0E. 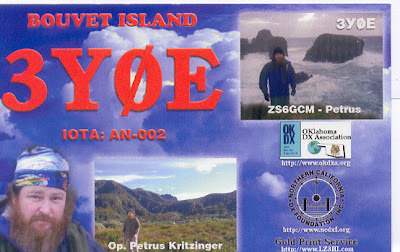 IOTA 2007 - SO 12H SSB 1st World.